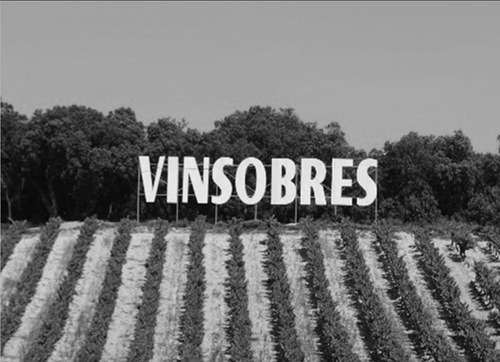 In 1956, severe frost killed off almost all the olive trees in the region around the small village of Vinsobres, and people turned to viticulture. Valerie Chaume‐Arnaud always wanted to be a winegrower, but her mother tried to dissuade her, hoping her daughter would find a more ‘modern’ occupation. Lucky for us, the strong willed Valerie followed her heart. After studying oenology and viticulture, she took over the 5 hectares of vines belonging to her parents in 1987. With her husband Philippe, they bit by bit extended the vineyards, which today cover 38 hectares. 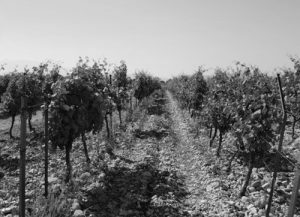 They have been organically farming their vines since 2002 and moved towards a biodynamic approach between 2004 and 2006, and are certified biodynamic by Demeter since 2009. 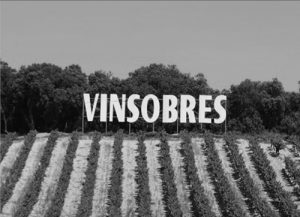 Vinsobres was included in the Cotes‐du‐Rhone Villages appellation in 1957, but it was not until 2006 that it finally gained its own status as a standalone appellation. Situated northeast of Chateauneuf‐ du‐Pape by some 45 km, Vinsobres is the northernmost appellation in the southern Cotes du Rhone. Nestled in the foothills on the northern flank of the giant Mount Ventoux, it is off the valley floor with vineyards as high as 400 meters above sea level. The hillside vineyards of Vinsobres are planted with Grenache and Mourvedre primarily where they like the more direct sun and protection from the Mistral winds, while Syrah is largely planted on the plateau above where higher elevation and the cool northern winds keep the freshness and spice that the grape can offer. The soils here are a mixture of sand and clay with limestone rocks on the hillsides while the plateau sees the vines rooted in very shallow soils over limestone. Once inside the winery at Chaume‐Arnaud, one thing visitors will notice is the absence of any wood barrels or vats. Here, all the wines are vinified in tanks. The results are wines that are pure, clean, and without makeup allowing their terroir and varietal to express themselves entirely. There is a range of wines produced here, but the majority of the production is the Vinsobres rouge which is typically a blend of 60% Grenache, 15% Syrah, 15% Cinsault, and 10% Mourvedre. In addition, there are two wines under the Côtes‐du‐Rhône appellation, “Petit Coquet”, which is 80% Grenache and 20% Cinsault from younger vines found below the hillside, and a wine simply labeled Côtes‐du‐Rhône that has 20% Cinsault and 20% Syrah along with Grenache from younger vines in the Vinsobres appellation. The two top wines of the estate are the “La Cadène” cuvées. The La Cadène rouge is equal parts Grenache, Mourvedre, and Syrah from the oldest and best plots of the estate. Production here varies depending on the vintage from a mere 3,000 bottles to as much as 9,000 in really extraordinary vintages. The La Cadène blanc is made from 50% Marsanne and 50% Viognier planted on the plateau.